ICE WaRM has responded to this call for training by initiating an interactive, online course in which Middlemis and Peeters discuss the Explanatory Note, not just in the context of coal development, but in a wider range of groundwater management issues. 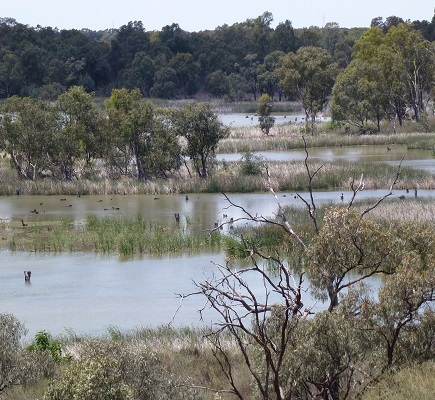 The presenters will use case studies, such as the Angas-Bremer catchment in South Australia, to illustrate many of the concepts essential to designing a transparent uncertainty analysis. Understanding Groundwater Model Uncertainty Analysis, is a 3 hour session in which participants will have the opportunity to engage in live discussion with Middlemis and Peeters and also with peers from other countries. This session will focus on how to design an uncertainty analysis for a groundwater model project. The emphasis is not on the mathematical and statistical detail of uncertainty analysis, but on the systematic and transparent assessment and discussion of which sources of uncertainty to include. More information about this course is available at the Australian Water School. Uncertainty analysis—Guidance for groundwater modelling within a risk management framework has been written to supplement the IESC Information guidelines for proponents preparing coal seam gas and large coal mining development proposals and complements the Australian groundwater modelling guidelines. The IESC is a statutory committee of leading scientists under the Environment Protection and Biodiversity Conservation Act 1999 (Cth) (EPBC Act) that independently advises government regulators on the impacts that coal seam gas and large coal mining development may have on Australia’s waters resources. Further information on IESC’s role is on available on the IESC website.